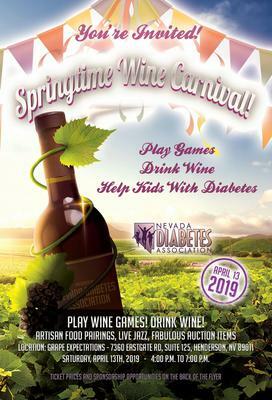 The Nevada Diabetes Association invites you to Play Games, Drink Wine, and Help Kids. A fundraiser where all proceeds raised stay local in the vegas valley to help children with diabetes. Silent Auctions featuring signed Golden Knights memorabilia , Live Music, Artisan Food Pairings and more. Come out for a good time and help kids around the valley.